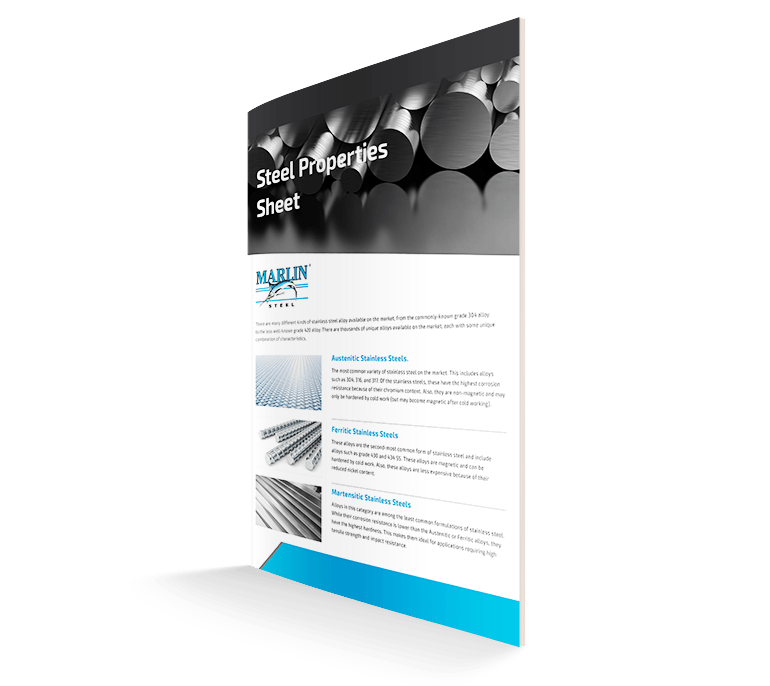 In the seafood manufacturing industry, finding seafood processing baskets that provide the right balance of corrosion resistance, strength, and ease of sterilization can be difficult. Or, it would be if it weren’t for Marlin Steel. Marlin’s engineering team has extensive experience in manufacturing custom stainless steel processing baskets for a variety of aquaculture products. A little while ago, a premier seafood product manufacturer specializing in raising, preparing, and distributing mussels reached out to Marlin for a custom seafood processing basket to use in their mussel harvesting, washing, and preparation process. To make the best possible custom mussel processing basket for the client’s needs, Marlin’s engineers first had to learn about the client’s mussel harvesting and preparation process. For example, as is common for aquaculture processes, the mussels, when harvested, would be pulled straight from their saltwater habitat and tossed directly into the basket. This meant that the basket, while it wouldn’t be submerged in saltwater, would find itself frequently exposed to saltwater and salt-enriched air in the client’s mussel farm. Such conditions would cause plain steel to quickly pit and corrode to the point where there would be a serious risk of transferring rust to the shells of the mussels themselves. Additionally, as a seafood product, the client had to be especially careful of foodborne illnesses being transferred from one batch of mussels to the next. This meant that the client had to use a rigorous cleaning process to sterilize the baskets in between mussel batches. For the mussels themselves, each one needed to be easily accessed for a quality/safety inspection prior to packaging. Also, to help establish and document freshness for products with a limited shelf life, mussels have to be tagged using a federally-regulated system that tracks each batch of mussels through their supply chain. To enable this tagging system, the mussels had to be easy to access in the basket. To Be Resistant to Salt Corrosion. While not as severe as it would be if immersed in saltwater, the baskets would still be regularly exposed to saltwater runoff and salty air—even if they would be cleaned soon after. So, it was decided that the basket would use a stainless steel alloy. This would limit the corrosion of the basket to help maximize its useful life. Plus, the use of steel helped ensure the seafood processing baskets would have the tensile strength needed to hold large amounts of mussels at a time. To Make Accessing the Mussels Easy. A lot of the client’s quality control and regulatory requirements centered around being able to inspect the mussels throughout the manufacturing process. 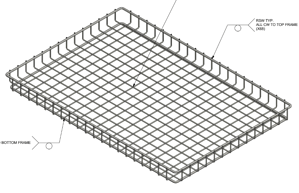 To make this as easy as possible, Marlin’s engineers decided to make the basket large and wide, so many mussels could be laid flat in a single layer in the basket. To Be Strong Enough to Handle Uneven Loads. The exact distribution of weight couldn’t be reliably predicted since the mussels would be dropped into a basket at random—and each mussel’s size and weight could vary from one to the next. Thankfully, stainless steel alloys have such a high tensile strength that even relatively thin wires were more than sufficient to keep the basket from bending under the weight of dozens of mussels being dropped into it. To Drain Quickly and Completely. To further ensure that no saltwater would be left in the basket after loading (and, thus, minimize the basket’s exposure), the basket would be made with thin steel wires that offered plenty of open space. This would keep the basket from letting liquids pool inside. This also helped to prevent cross-contamination by limiting the possibility of fluids from one batch of mussels sticking to the basket long enough to transfer to another batch. To Be Easy to Sterilize. Using stainless steel wires made it easy to pass the basket through a high-temperature cleaning process with strong disinfectants in between batches. This would help to kill germs thoroughly so diseases would not spread between different batches of mussels. Keeping all of these requirements in mind, Marlin’s engineering team set to work creating a custom seafood processing basket to meet the client’s needs. Once the design was finished, they put it through a physics simulation test to check how the basket would stand up to years of continuous use. By doing this, they were able to refine the design quickly and ensure they made the basket right the first time. This would help to save a ton of time on physical prototype testing. Grind the surface of the basket to eliminate and sharps and burrs that may have been left over after the cutting and welding was done. Why eliminate the sharps and burrs caused by cutting and welding? The major reason was to protect the client’s products and employees. Since the basket would be handled by hand a lot during loading, transportation, and unloading, it was important to eliminate any sharp edges that could hurt a worker. Also, it would keep the mussels’ shells from getting scratched, helping to preserve the pristine appearance of the products for display in seafood counters across the country. Need a high-quality custom seafood basket for processing mussels? This basket design is now available as Marlin basket #01485001. It is a 32”-long by 22”-wide basket that is 2” deep—perfect for arranging a large number of bivalves or shellfish in a single layer. Contact Marlin Steel today for a custom seafood processing basket quote.